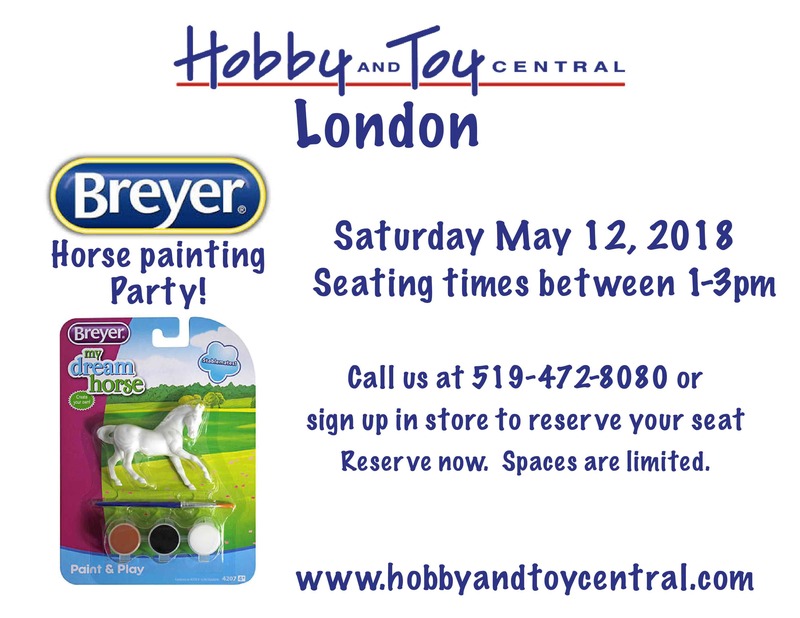 Reserve a spot now for our Breyer Horse Painting Party Saturday, May 12, 2018 between 1-3 PM ET. All supplies are provided. Call the London store at 519-472-8080 to reserve your seat. Book now as spaces are limited.